According to a poll by video game retailer GAME - 1996 was the "golden year" for gaming. 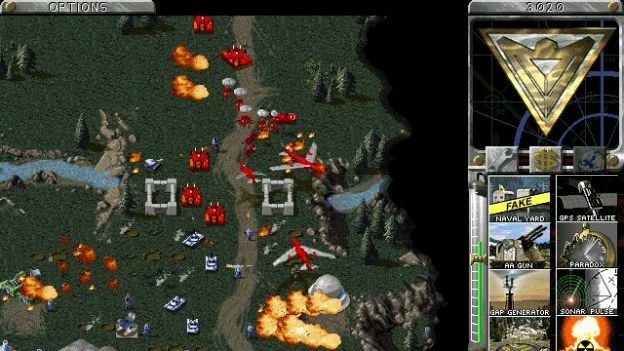 Titles like Tomb Raider, Crash Bandicoot, Red Alert (pictured), Super Mario 64 and Tekken 2 combined to give us our finest 365 days* of gaming in history. Two thousand British gamers - both console and PC alike - were polled to find the best year and 1996 came in with 14 per cent of the vote. The runner up was 2002 with 13 per cent and an honourable mention must go to 1991, which picked up third place. If you can recall the heady days of '96 then you might remember the Spice Girls had just hit the charts, we were getting behind Shearer and Sheringham for Euro 96 and Nintendo had just launched the Nintendo 64 to compete with the first PlayStation. Along with the aforementioned titles, 1996 also gave us the first Diablo game, Quake, Resident Evil and the inimitable Duke Nukem 3D. Younger players may be more swayed by 2002, which brought us Grand Theft Auto: Vice City, Super Mario Sunshine and the criminally overlooked Spyro: Enter The Dragonfly. So if you agree with the result of GAME's poll (or want to vehemently object in the most vocal of tones, then set forth your own golden gaming year) let us know in the comments box below or over on the T3 Facebook page. * Of course, with 1996 being a leap year, technically it's 366 days of gaming. But who's counting?